A knee Injury can range from just simple everyday pain to a trauma that can leave you out of commission for many months. Our knees are vital to our everyday life; they help us get around and enjoy life. Bioworks has several options to not only aid in the recovery from injury but also help you return to the activities you love. Many of our knee braces are items we can get approved and covered through insurance; all you need is a prescription. If you have any questions about obtaining a knee brace give us a call and we can get you started. ANTERIOR CRUCIATE LIGAMENT (ACL) SPRAIN: The function of the ACL is to prevent anterior movement of the tibia (shin), posterior movement of the femur(thigh bone), rotation of the tibia, and hyperextension of tibia. The sprain is caused by cutting, turning, landing and deceleration during activity. There are 3 degrees of ACL Sprain: first degree sprain (slight stretching of the ACL),second degree sprain (stretching and fraying of the ligament), and third degree sprain (complete tear of the ligament). Most ACL sprains will require surgery, after which you will be placed in post-op knee brace and then after some physical therapy, you will graduate to a more functional knee brace. OSGOOD-SCHLATTERS: Inflammation and pain just below the patella (knee cap) where the tendon connects to the tibia (shin bone). Typically occurs in active adolescents that are experiencing a growth spurt and the muscles and tendons are growing too quickly. This injury is seen predominately in jumping sports. Most physician suggest rest, stretching, and strengthening of surrounding musculature. A brace or support maybe also be prescribed. PATELLAR (KNEE CAP) FRACTURE: This is also referred to as a break of the knee cap and occurs when the front of the knee is impacted with a hard surface (ground, dashboard of the car). Depending on the severity of the fracture, you may be placed in a long hinged knee brace to allow the fracture to heal. If surgery is required, you may be placed in that same brace and have crutches to use to keep weight off of the injured leg. After surgery or when the bone has healed, a physician may order physical therapy and then you may graduate to shorter more functional brace. 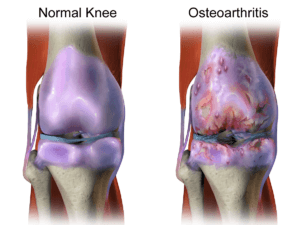 KNEE OSTEOARTHRITIS (OA): Knee pain or a knee injury can occur due to osteoarthritis. 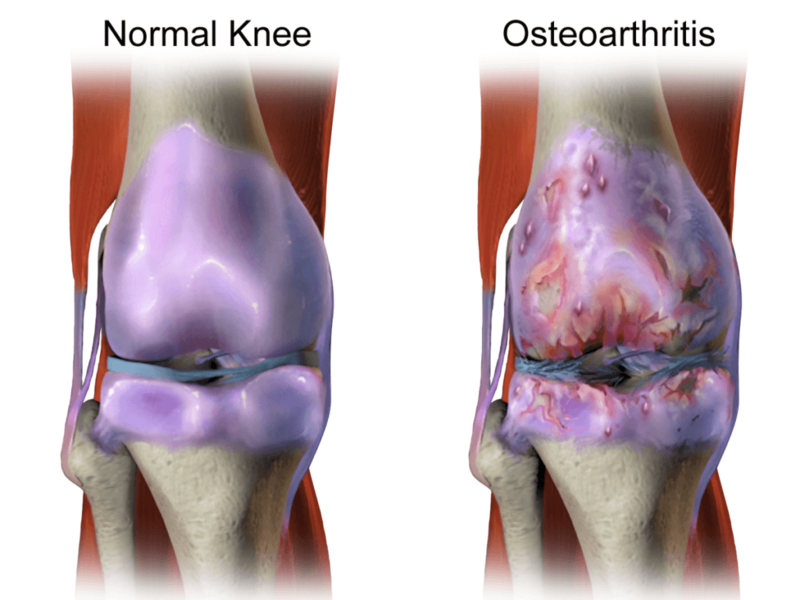 Cartilage in the knee joint slowly wears away and decreases the cushion in the knee joint; as a result, there can be bone rubbing on bone and causes pain with every step you take. If this is the case a physician may prescribe an knee unloading brace to help prevent the bones from impacting each other. PATELLOFEMORAL PAIN SYNDROME (PFPS): This injury may also be referred to as generalized knee pain. The pain maybe caused by overuse, muscle weakness, and poor patellar alignment. There are various types of treatment for this type of pain/injury. This treatment can range from rest, to a knee brace, and even to orthotics. *KNEE INJURY TREATMENT COVERAGE IS BASED ON INDIVIDUAL INSURANCE PLANS AND DEDUCTIBLES AT TIME SERVICES ARE RENDERED. THERE IS NO CO-PAY FOR AN OFFICE VISIT OR ANY RETURNING VISITS FOR ADJUSTMENTS. 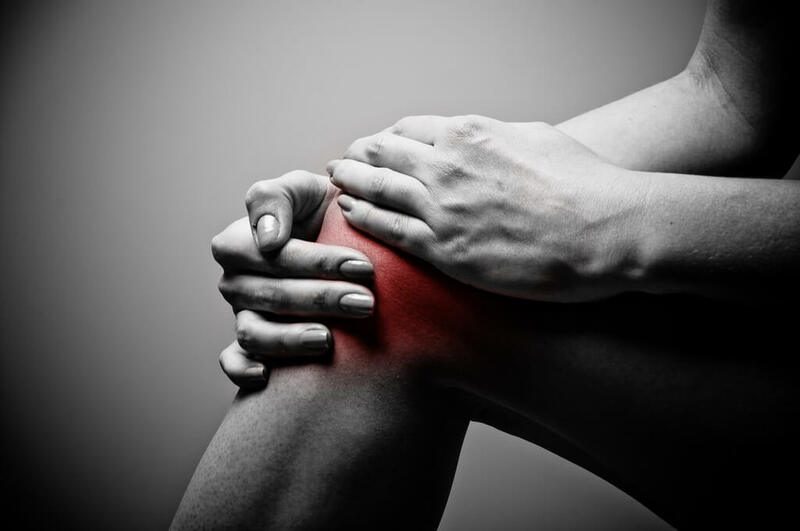 Our specialists can answer your knee injury questions. Call or complete our contact form. We’ll get back with you shortly. You can request an appointment if you have a prescription. We’ll confirm your request within one business day.